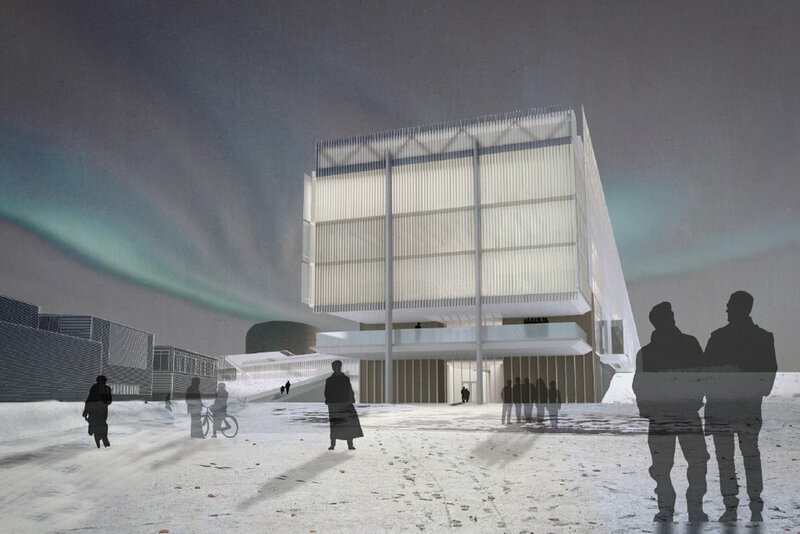 This design concept supports the achievement of Aalto University’s objectives by creating an integrated design of the project: site, architecture, central square and urban landscape, that functions as a natural extension of the pattern and environment of the Otaniemi Science and Arts community. 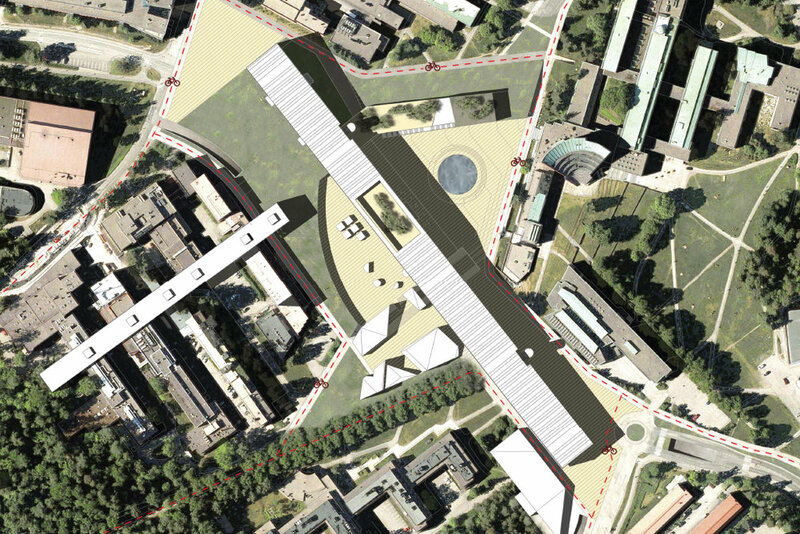 A broad public plaza flanked by retail introduces an invigorating urban landscape to Otaniemi. This central square acts as a “social condenser”, drawing commerce, special events, academic and social activities to a central location at the intersection of multi-modal transportation networks. 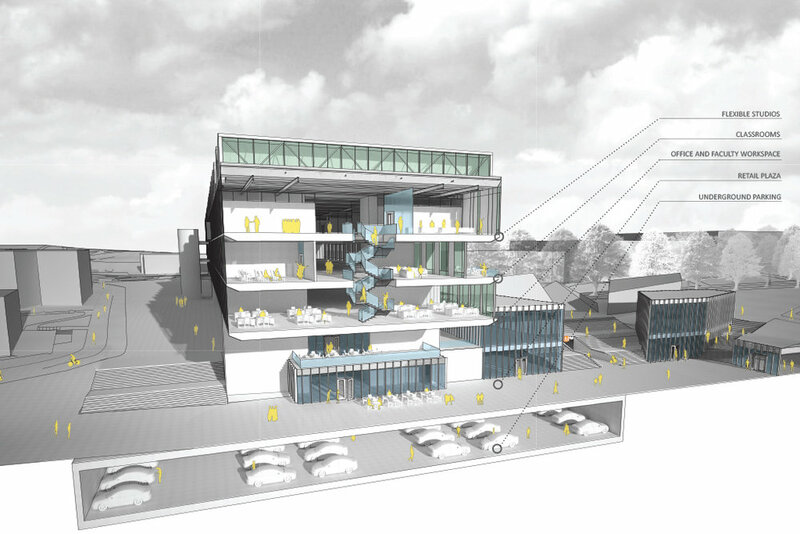 The design of the square works in concert with the new arts building and the existing main building to create an identity that will be indelible. The design takes its departure point as promoting the interaction between disciplines. Not only are the studios and classrooms intended to be individually appropriate for their purposes, they are also intended to foster interaction through the capacity to be mixed randomly without regard to departmental boundaries, if desired. In its development into detail, the already indicated efficient and flexible facilities will reach the goal of a technically advanced, healthy environment.